Hi, there! Welcome to Day 3 of Christmas in July! 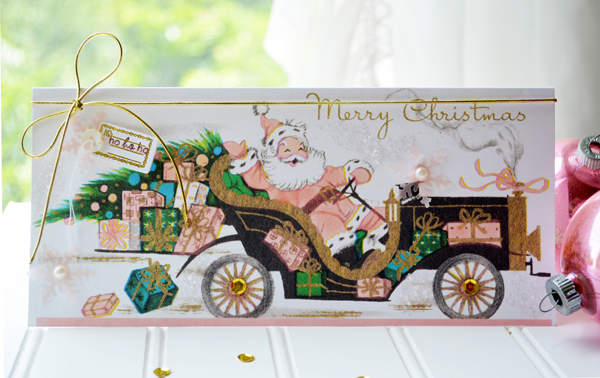 This is the last day of projects featuring Christmas images from Free Pretty Things for You and ChouxChoux Paper Arts. We’re so glad that you’ve joined us! First up today is a most darling Santa. I printed this card large (or maybe I should say long). It’s about 4 1/8″ x 9″. This Santa is so cute and the size is so cool that I didn’t add a lot. The snowflakes are vellum that I colored with a pink copic marker. 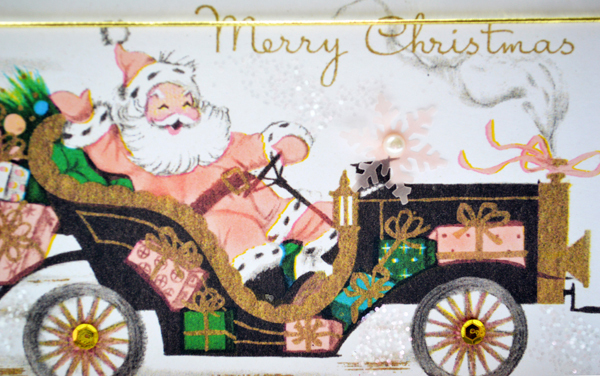 You can download Santa in his car HERE. Little Miss Christmas is making her appearance again! This time in magenta – such a pretty color! I made the gusseted treat bag with paper from Dreamlike Magic. You can see a tutorial for making the gusseted bag in my post HERE. I punched two holes in the top layer of the bag to tie on the tag. 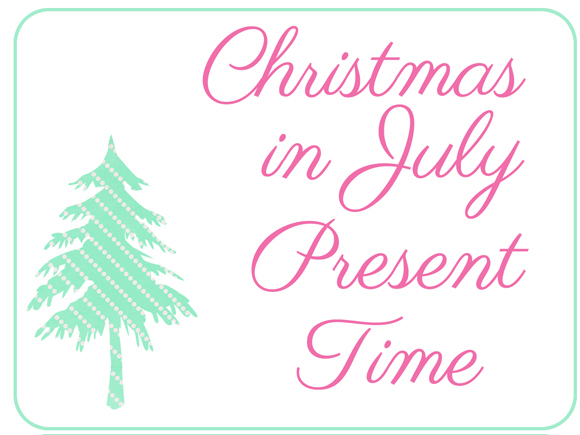 Okay, you can look at the first two Christmas in July posts to see what is in the Christmas present so far. 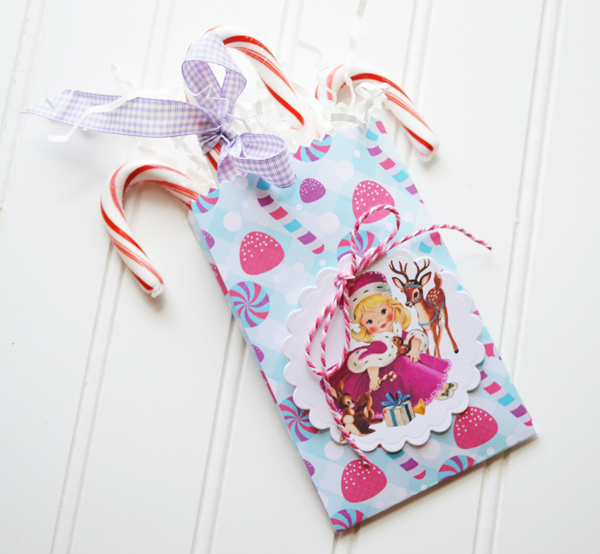 To all the goodies in the first post, the kit for the ornament in the second post, I’m adding a kit for the Little Miss Christmas treat bag. The bag will already be cut and scored and you’ll get everything you need except for adhesives. Winning the Christmas in July present is easy. Leave a comment on all three Christmas in July posts. Let me know in one comment that you would like to win. Comments need to be made before 11:59 on Friday. Random winner will be announced on Saturday, July 19th. Be sure to check back on Saturday to see if you’ve won. 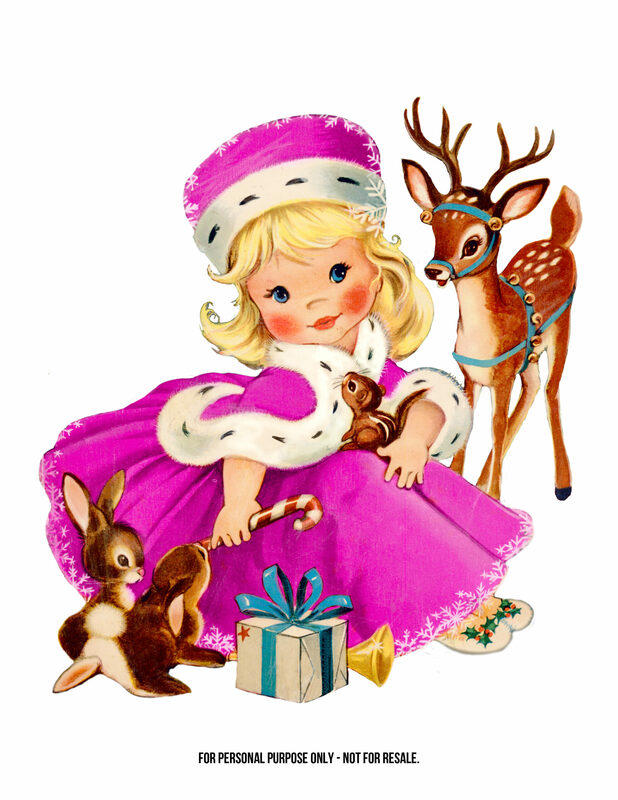 I hope you’ve enjoyed Christmas in July and Little Miss Christmas in all her finery. 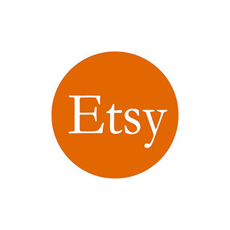 Be sure to take a look at all the wonderful images available at Free Pretty Things for You.